W&K's creatives dish the secrets on street casting for Sainsbury's ad & embracing the Christmas spirit while on-set. This year, Sainsbury's Christmas ad was decidely different from its 2016 offering - starring real families and real store staff instead of its previously animated Christmas characters. As the first year with Wieden & Kennedy as the supermarket's agency - since winning the account off AMV BBDO last year - its Every Bit of Christmas ad follows in the footsteps of its advertising from the past year, continuing to focus on food and adopting a simple, stripped-back approach. We caught up with some of the agency's creatives to find out where the change of heart came from and why being a foreigner helped with creating a quintessentially British xmas ad. What was the brief with which Sainsbury’s approached you? Scott Dungate (SD): We saw some brand research into the effectiveness of campaigns across the Christmas period and saw the recall on who did which ad was often super low. This is understandable as many brands layer on a Christmas glitz and festive tone that feels different from who they are throughout the rest of the year. Sainsbury’s challenged us to create a Christmas campaign which felt like a big festive celebration, but also was a definite continuation of the Living Well work we have been establishing this year. Sophie Bodoh (SB): There’s a trend in the category where brands tend to do big, epic, fantastical stories at Christmas. We stepped away from this. We’d spent the year establishing what Living Well meant and creating a look and feel - it felt too early to completely change gears. It was exciting to stay true to the overall campaign that we’d created and celebrate what Living Well means at Christmas. We wanted to do something that wasn’t a fantastical story but instead captured what Christmas means to real people, in all its forms – the silly bits, the annoying bits, the tasty bits, the snoozy bits, the exciting bits, the cheesy and embarrassing bits. We wanted it to be something where you’d recognise parts of your own Christmas within it. And how did you approach interpreting this brief? SD: Coming from Brazil and Spain, our creatives Mico Toledo and Juan Sevilla spent a lot of time getting to grips with what Christmas means to people living in the UK. So after a lot of creative research, they came to the conclusion that living well at Christmas doesn’t mean just one thing. It's made up of many different moments - from eating a chocolate gold coin at breakfast, to watching The Muppet Christmas Carol, to giving silly gifts and spending time with the extended family - who you might only see once a year. Every Bit of Christmas is about living well, and it’s the combination of all these things, big and small, that make Christmas one of the greatest times of the year. Mico Tolendo (MT) & Juan Sevilla (JS): As foreigners living in this country, we have an outside perspective that can sometimes be beneficial when creating new work. Especially with regards to Christmas ads, that tend to be similar across all brands. We wanted to create something different, something human, real and fun. We were kind of tired of soppy stories that tried to make your eyes water and decided to make something genuine that resonated with the people while also reflecting the reality of Christmas; a season filled with different great but also annoying bits. Considering this is your first year doing a Christmas campaign for Sainsbury’s since winning the account, did you feel a certain expectation to live up to work from previous years? 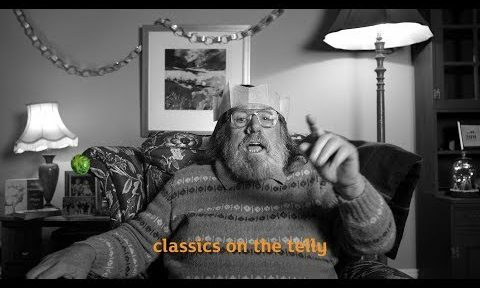 MT & JS: Obviously we’re conscious and aware of the history of previous Sainsbury’s Christmas ads, but we approached this brief as a blank slate, not trying to compete or outdo previous Christmas ads. All we knew is that we wanted do something different and populist, and somehow continue the current brand language. I think it really helps as well that both me and Juan are foreigners, so even though we felt the expectation to create something great we were also unconsciously not pressured by years and years of great Christmas ads. We don’t have that craze of investments on Christmas ads in our countries, so that was definitely a great learning curve for us. Why did you decide to stick to the monochrome format and style that you rolled out earlier in the year? What sort of people were you looking for during casting? SD: Sainsbury’s understands what modern Britain is all about - celebrating diversity and exploring all sides of life. We try to cast real people as often as we can in their ads as then we get more interesting faces and performances, compared to how it would work with professional actors. The cast is very reflective of the UK today; it's super diverse. But this method of casting is much more complicated than calling an agent and going through head shots, so it's pretty time consuming. SB: When we first auditioned potentials, we asked people questions about how they celebrate Christmas and we also asked them to sing their favourite festive song. Once the casting was in place, we sent them the song in advance. We had a massive range of abilities and styles. Some people learnt the whole thing and choreographed their own dance moves, while others went for a more off-the-cuff approach. How long ago were you brought onto the job and where did shooting take place? MT & JS: We started working on Christmas from December last year, by pitching an open brief to the whole agency. We then came back to it in early April with the idea in its current form - more or less. We’ve been living and breathing in Christmas mode for the past eight months; it’s been quite a jolly ride. The shooting took place all over the UK... We went to Cardiff, Swansea, Manchester, Glasgow and also shot around London. The cool thing about this project is that we had to travel up and down the country to meet real Brits in their homes. And we met some amazing people on the way; like the medic on-set who wasn’t even supposed to be in-camera until we realised what an awesome dancer he was and so, we had to make him the star of our karaoke-singing video on YouTube. And why did you decide to create and release a bespoke track for the spot? 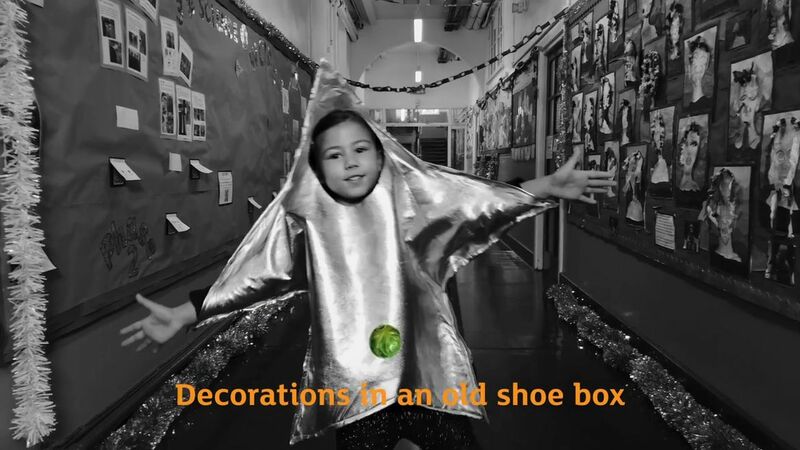 MT & JS: After coming up with the Every bit of Christmas idea we quickly realised it would be very difficult to squeeze every bit of Christmas into a 90-second ad unless it was into a song format. We started with references like Daniel Radcliffe singing Alphabet Aerobics (above), but then also realised that that was maybe too quick. The challenge was to write a funny and light-hearted song that could contain every bit of Christmas while also remain a catchy tune. SD: We didn’t want the song to be a highly-polished number, like Mariah might drop. It needed to feel real and to represent people who may not be pop star level singers, but who sing with all their heart anyway. We avoided the auto-tune and kept it rough and real. Rapper and comedian Doc Brown wrote the track. He has a brilliant ability to come up with insightful lyrics which feel real to Christmas in Britain, but also humorous and warm.